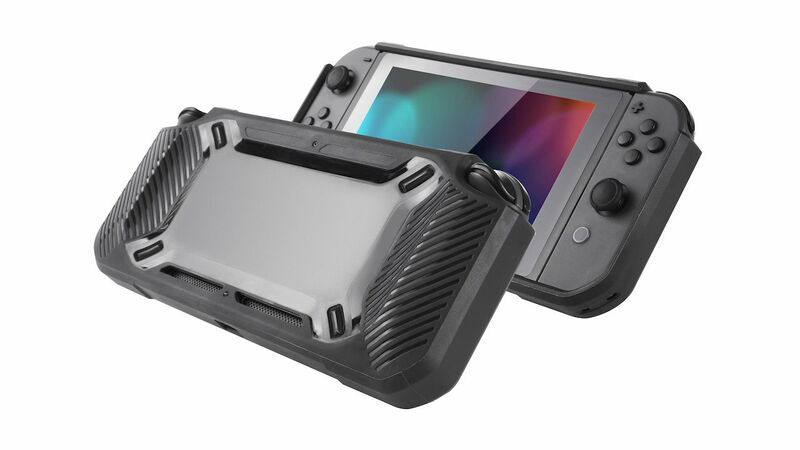 snakebyte has announced the Tough:Kit for Nintendo Switch, new accessories that have been designed to offer “maximum protection” for the portable home console, Joy-Con and games. The Tough:Case – available in Strawberry Pink or Black – will cradle the console whenever it is in Handheld mode, with the rugged shell helping to prevent any damage with a scratch-resistant polycarbonate back cover. Whereas the Game:Case can store up to four games to keep them safe from harm, a set of controller caps will protect the Joy-Con analogue stick from wear and tear, and the Screen:Shield PRO can be placed over the screen to resist scratches and damage. “Gamers are hooked on their Nintendo Switch, a console which has proven to be the perfect travel companion,” explains snakebyte USA CEO Nick Repenning.